Broward Medical and Rehab Inc. (Plantation) - Book Appointment Online! 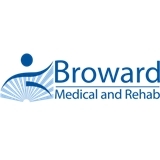 Broward Medical and Rehab Inc.
We understand that the needs of each of our patients are unique, and proudly offer services that are tailored to match those specific needs. Whether you need traditional medical treatment, chiropractic, physical therapy, acupuncture or have recently been injured at work, are a weekend athlete or have been involved in an automobile accident, and need relief as soon as possible, we can help. The pain or discomfort that you are experiencing often comes about unexpectedly and our medical team is ready to offer you our services at our two locations in Hollywood and Plantation. From immediate openings to payment plans, our goal is to accommodate you in any way we can. Beautiful eyes! Lovely smile! Great bedside manners!